Helen Cygan with Grandma Cygan. It all started about a year ago. I recieved the following pictures from a distant cousin of my father’s. The 1st photo states that it is a photo of “Helen Cygan with Grandma Cygan.” I am assuming that this photo was taken when Helen was about 18 years old, or about 1929. The next photo is a photo that was taken in 1941 at my grandmother’s wedding shower. My dad actually had a copy of this photo as well so he was able to identify the three ladies. From left to right, Antonette Koranda, Magdeline Jochim and Mary Cygan. Mary Cygan is the mother of Helen. This is where it becomes complicated. My father and his cousins, while never seeing the photo of Helen and her grandmother before, claim that the “Grandma Cygan” in the 1st photo is the same woman as Mary Cygan in the second photo. I don’t believe them. I do not believe the woman in the picture is Helen’s mother. No way, no how. And there’s a few reasons. #1…the back of the photo reads “Helen and Grandma Cygan”. Knowing that the photo actually came from Helen’s descendents, I believe that Helen was the one to write on the photos. (She died young and her children would NOT have know who Helen’s grandmother was). If Helen was in fact the author, she would have wrote Helen and Mom. I also think the woman in the 1st photo is older than 38 years old (if Helen is 18 in the photo). Here’s more proof. Another photo of “Grandma Cygan” This time the photo reads “Chester with Grandma Cygan”. (Chester is Helen’s brother). And so here’s my dilema. If this woman is not Mary Cygan, the mother of Helen and Chester, than who is she? 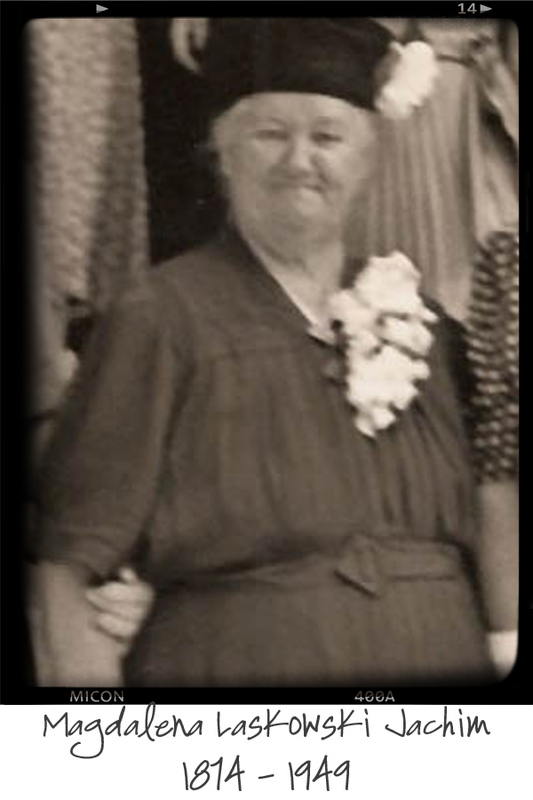 If she is “Grandma Cygan”, then she is the mother of Nicholas Cygan, my great grandfather. And I never expected to find a photo of her. I assumed she never left Poland. In that case, this “Grandma Cygan” in these photos would be my great, great grandmother from Poland. In order to verify the identity of this woman, I must research and document the Cygan family and hopefully find proof that #1 Grandma Cygan left Poland and/or #2 another Cygan descendant knows the identity of this woman. And that is why I’m looking for Frank Cygan.